The Paloma is not one of the first cocktails that come to mind when you open a bottle of tequila but it should be. An alternative the ubiquitous Margarita, it's traditionally made with tequila and grapefruit flavoured soda. 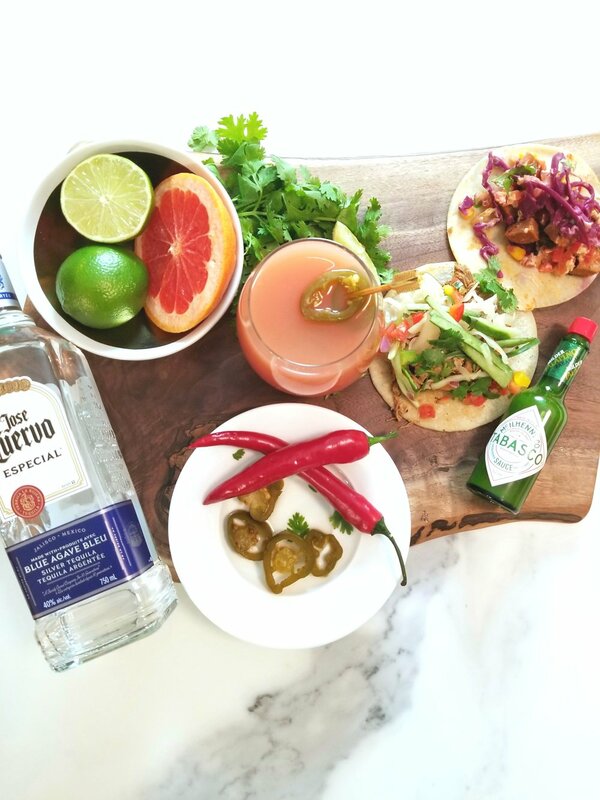 My version uses fresh grapefruit and adds a spicy kick with a pickled jalepeno garnish and a dash of Green Jalepeno Tabasco.